How do I buy a WOW 1 DAY PAINTING Franchise? Become part of the team positioned to be the next household name in painting. 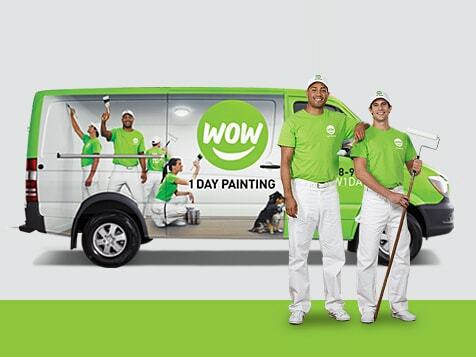 The WOW 1 DAY PAINTING franchise has a low initial investment, low overhead, is highly scalable and can be run from the comfort of your own home. If you would like to do more than work a regular 9-5 day job, see the results of your work directly when you own a WOW 1 DAY PAINTING franchise. Open WOW 1 DAY PAINTING in any of these available states: AK, AL, AR, AZ, CA, CO, CT, DC, DE, FL, GA, IA, ID, IL, IN, KS, KY, LA, MA, MD, ME, MI, MN, MO, MS, MT, NC, ND, NE, NH, NJ, NM, NV, NY, OH, OK, OR, PA, RI, SC, SD, TN, TX, UT, VA, VT, WA, WI, WV, WY. WOW 1 DAY PAINTING services takes care of residential and commercial painting needs on interior and exterior paint jobs. 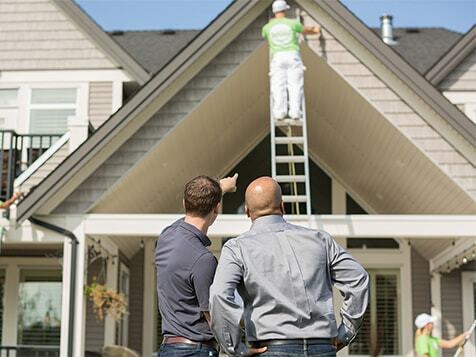 The team of professional painters complete the quality paint job you would expect, without the disruption that comes with a typical house painting project because most projects are completed in just one day! Ground Floor Opportunity - With your help, WOW will be the largest painting company on the planet. They are growing faster than they did with their 1st brand and with the addition of go-getting-sales-driven-customer-service-obsessed entrepreneurs like you, the momentum is certain to accelerate. Experienced Team - WOW 1 DAY PAINTING leverages the power, expertise, and proven systems and processes that built their first concept and became the world's largest junk removal service, 1-800-GOT-JUNK. Powerful Brand - The WOW 1 DAY PAINTING brand is simple and sets itself apart from other painting companies; speed plus quality = WOW. 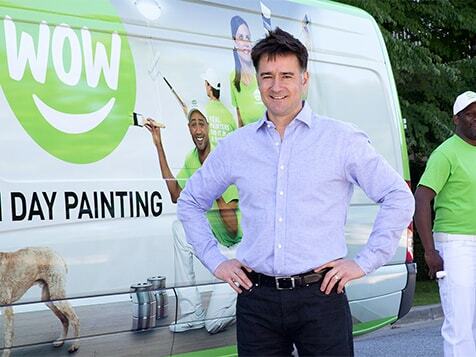 Proven Business Model - Build an empire where customers rave about your work and franchisees rave about working with the WOW 1 PAINTING franchise team. Exclusive Territory - Franchise owners are awarded exclusive territories based on households. The minimum size of a franchise is 200,000 households, or roughly 500,000 in population. There is no cap on territory size, so you have the opportunity to secure an entire market if you choose. One of the secrets to creating a world-class organization is picking the right people. We look for goal-oriented, tenacious leaders with the passion required to take on an industry and shake it to its core. It takes powerful individuals who are determined to succeed, and WOW believes in a rigorous selection process to ensure the fit is just right. WOW 1 DAY PAINTING believes in their systems and people. 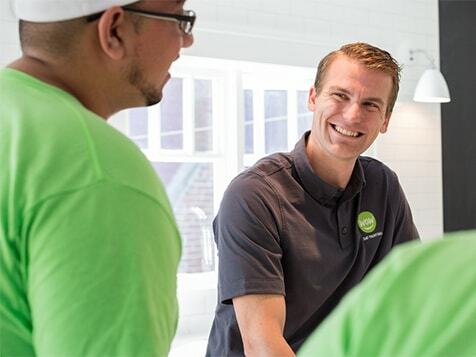 If a new franchise partner does not hit the minimum revenue goal of $200,000 within the first 12 months of operation, they will allow that franchise partner to give back their franchise and will be refunded their initial territory fee of $19,000! Become part of building something much bigger, together, with WOW 1 DAY PAINTING. Complete the inquiry form today and be WOW-ed. WOW 1 DAY PAINTING is not currently active in our directory, but here are some other recommended selections for you to explore.